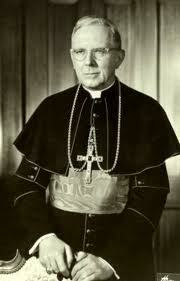 In 1939, Monsignor J. Francis McIntyre, at that time the Chaplain of the New York Chapter Knights of Columbus, and who later became Cardinal McIntyre of Los Angeles, California, seeing great numbers of women coming out of a Communist rally at Madison Square Garden, conceived the idea of a ladies organization to work with the Knights of Columbus. The New York Chapter Knights of Columbus formulated a plan for such an organization. Their plan called for the establishment of Auxiliaries in each Council and to coordinate the efforts of all under the direction of the parent group. On March 2, 1939, the first Columbiettes were instituted in New York City. Since that memorable day, many new Auxiliaries were formed and eventually State Councils and a Supreme Council were established. The Columbiettes are now an international organization of Catholic women presently established in the United States and Canada.